After spending quite a bit of time shooting from Lookout Point at Kentucky's Natural Bridge State Park we finally turned our attention at the reason we had made the hike, to photograph Natural Bridge. We made the ridge top hike and crossed over the bridge taking in the soaring view then headed down below. 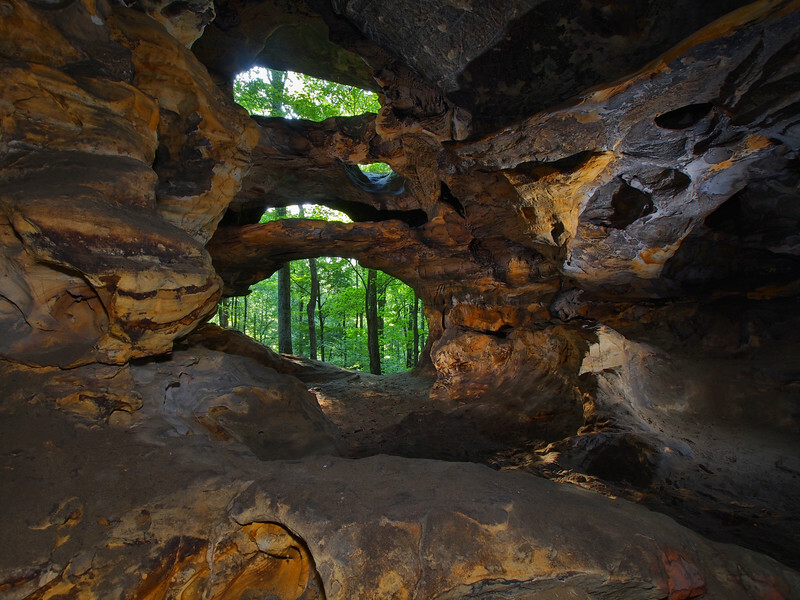 The natural arch is impressive, at 78 ft across and 65 feet high. Although it is very cool, the area beneath the bridge is very "state park", as there is a wood fence that surrounds the base only that only allows a visitor just pass under and around it. Nonetheless we found a cool perspective to shoot the bridge from below and I don't think we could have picked a better time to pay this place a visit although I'm itching to shoot the bridge in October.